Welcome to Sketch Structural Engineering. We are a small structural engineering practice specialising in residential projects in London, Hertfordshire and Essex. Occasionally, we dabble in the commercial world working on small offices and pre-cast concrete stairs, walls and columns. 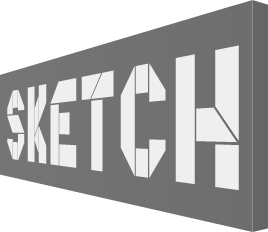 At Sketch, we are equally adept at designing house extensions, loft conversions, new build houses and undertaking structural surveys, as we are at designing commercial buildings. A selection of our projects are showcased in our Portfolio. Some of the services we offer are listed below. For more detailed information please refer to our Services. Are you looking to structurally extend, convert or alter your home? We produce structural calculations and drawings for a Part A (Structure) – Building Regulations submission. Do you want to remove a wall or two and want to know if they are load bearing? Contact us for a structural engineering appraisal. Are you buying or selling or have discovered cracks in your home/property? We undertake visual structural surveys. Party Wall advice, a Party Wall Surveyor to serve a Notice/agree an Award or just a Condition Survey. Contact us for a competitive fee that is tailored to your specific project/requirements.